Want to Reduce Waste and Improve Soil Structure? Compost! “Landfills are full of things that don’t have to be there,” says Beth Finlay, Master Gardener Coordinator at the Penn State Extension in Berks County. The issue of reducing garbage is close to home for Beth. In scenic Berks County, there are four large landfills, one of which receives an average of over 5,000 tons of garbage per day, much of it imported from other counties and states. To reduce trash on their 1/8 acre property, her two-person family makes use of two compost barrels to reclaim kitchen and garden scraps, remove them from the waste stream, and turn them into valuable soil-ammending compost. 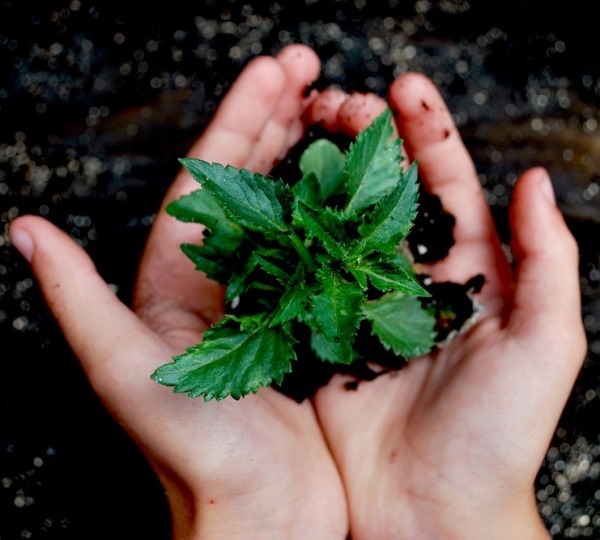 Beth sees composting as a way not just of keeping organic matter out of landfills but of keeping it in the garden, where it serves a valuable purpose. She explains that, through composting, all of the work that went into the garden can stay in the garden. All the grass and flowers that these gardeners spent time cultivating can be kept within the yard even once they are cut and dried out. Once they’ve spent time in the compost pile, they can go back into the soil to further serve the garden. The garden then becomes a closed loop. 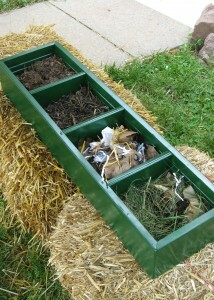 And how does the finished compost benefit the soil? Compost improves the soil structure, says Beth. “It helps form soil aggregates”–or clumps of soil– “which hold and release water,” and “make water more available” to plants. 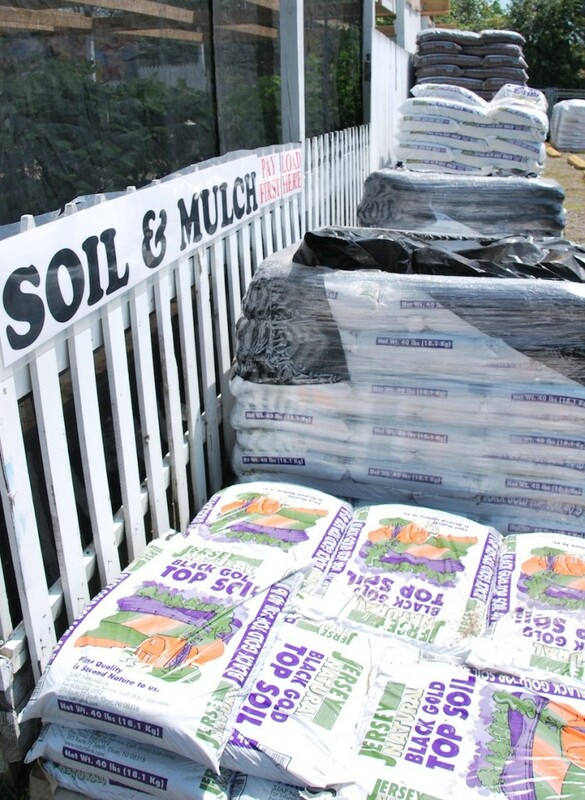 In sandy soil, compost holds water. In clay, organic matter and compost “keep heavy clay from being so solid,” says Beth. Compost allows the soil to form channels and spaces so that water can reach the plant’s roots. She cautions that compost is not a substitute for fertilizer. It brings micronutrients, but its main job is to improve the structure of the soil. To create a good compost, you’ll want roughly three parts “browns” to one part “greens” (by volume, not by weight). Browns are not always the color brown and can be any aged, spent and dried materials like dead leaves and dried flower heads, or materials like shredded paper. Greens aren’t always green, either. They are just fresh odds and ends with a high moisture content, like vegetable scraps from the kitchen or fresh grass from the yard. Both greens and browns contain nitrogen and carbon, but greens have a higher nitrogen content, which Beth says is the fuel that breaks down the browns. If you don’t have an abundance of dead leaves, sticks, or other dried items from your garden, shredded paper will also work. “Almost all inks are now vegetable-based,” she says, so shredded newspaper and computer paper is generally non-toxic. While newsprint and other papers will work, Beth advises against using glossy magazine-like paper. She also stresses that no animal material, fats or oils of any kind should find their way into the compost pile. She makes an exception for egg shells, which many people do add to the compost pile. She encourages composters to wash egg shells thoroughly. She also cautions against adding cat and dog waste, as these pets share several pathogens with humans. Manures from herbivores – horses, cows, chickens, sheep – are okay. If you need a cheat sheet, here’s a helpful list of items that can and cannot be used as compost. Once you’ve resolved to avoid adding these to the compost, you can improve the quality of your compost by turning it or forking it loose, to make sure there is air in the pile. Otherwise, the compost will become anaerobic and start to smell like sulphur. If done right, and especially if properly aerated, compost should not smell bad. It will smell “earthy” she says, but that will only be noticeable if you’re standing right beside it. A compost that uses all vegetable matter and avoids animal materials, oils and fats will not interest vermin. 3) Composting bins are ugly. 4) I need a larger space… or there aren’t enough people in my family to make it worthwhile. Composting is simpler than most people imagine, says Beth, and she encourages people to try it. 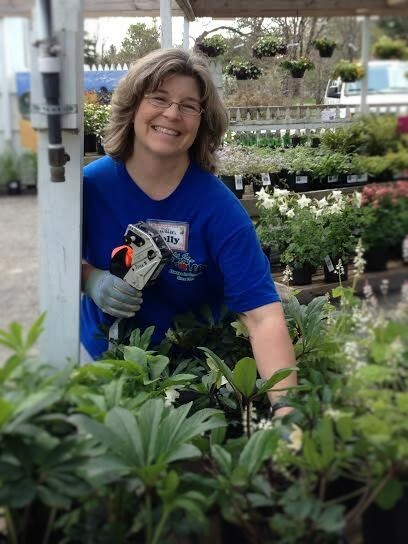 Beth invites anyone who needs help to call the Penn State Extension’s Master Gardeners. You can reach their Berks County office at 610 378-1327, and their Delaware County office at 610-690-2655.